Our office continually strives to provide the highly experienced representation typically found at a large law firm, and the highly personalized and attentive service you can only find with a small law office. We properly serve your legal needs by taking the time to get to know you and thoroughly understand your situation. You can put your trust in our legal experience and our passion to protect your rights during this difficult time. We will guide you through the process step by step, and make certain that you understand all of the issues involved. If you are in need of a California family law attorney, California divorce lawyer, or wills and trusts attorney, you have come to the right place. Whether you are preparing for a divorce, grappling with child custody or child support issues, or anything in between, we can help you. You can trust a California family law and estate planning lawyer from our office to protect your rights and interests. We can also assist people who are in agreement with each other and who only need assistance in preparing the necessary legal documents required in family law matters. Family law courts are extremely paper-intensive and can be frustrating for people who are attempting to resolve their issues themselves. The courts require an ever-increasing and changing amount of documents before any dissolution, separation, paternity, custody or any other family law case can be completed. Our office can assist those who just want their matter settled quickly and without the need to appear in court or go through the hassle of dealing with legal papers and trying to learn the requirements of the law. We can prepare all of your paperwork without anyone stepping into a courtroom or courthouse, and without the usual delays and hassles of rejection because the paperwork is not completed correctly or timely. 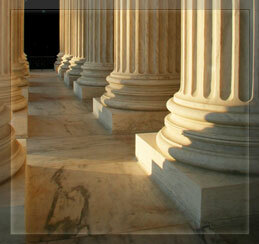 Don't rely on "paralegal services" or friends to provide you with the legal help you need. Remember - you get what you pay for. You wouldn't go to a nurse to have surgery or perform surgery on yourself, so why do the same when it comes to your family, finances and assets? The Law Offices of Sherrie L. Davidson, Inc. has the experience and knowledge to ensure your matter is completed as quickly and competently as possible.